● Products DescriptionALOE BHA SKIN TONER is for all types of skin including sensitive and troubled skin. Aloe Barbadensis Leaf Water is used to soothe stressed skin with a hydrating and cooling effect. 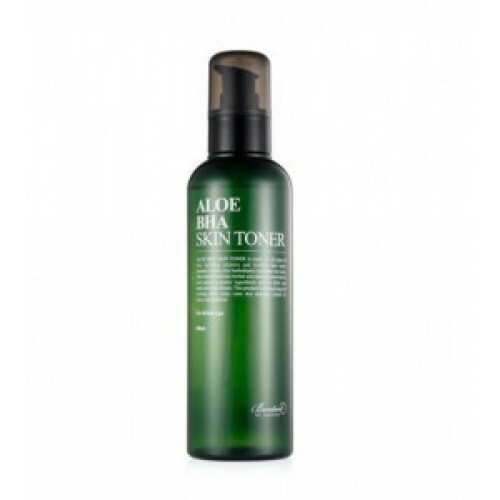 This skin toner further uses natural preservatives and cosmetic ingredients such as BHA and Snail Secretion Filtrate. 0.5% BHA in the formula helps skin remain clear when used daily.● How to usePump 1-2 times and take appropriate amount and rub evenly spread on your face, and then gently tab to enhance the absorption.